People commonly turn to psychotherapy at times in their lives when internal and external stress factors combine and become demoralizing or debilitating. Such distress may be exacerbated by a lack of internal or external skills necessary to help us manage this situation. Stress or distress may also arise in situations new to us that exceed or overwhelm our abilities to function within them. And any external stress factors may combine with, or re-inflame, preexisting internal stress dynamics, arising from childhood experiences for example, that became engrained in our psychobiology. Whatever the causes, stress tolerance and the self-regulation capacities of the human species are limited and stress or distress can easily exceed them. It is difficult to generalise what happens in therapy as each persons story is unique and his or her therapy will reflect that uniqueness. For example, a therapy that addresses a current problematic relationship may be quite different to one that deals with an emotional crisis arising from loss or bereavement. Another persons' therapy may be concerned with some re-occurring dynamic in his or her life whilst yet another may want their therapy to address and engage with internal experiences of anxiety, confusion, emptiness or feeling stuck. What happens in therapy is also influenced by cultural aspects. Cultural values manifest in our relationships with ourselves and with others and shape our experience of ourselves and others. To my mind, culture includes ethnicity, colour, spirituality/religion or sexual orientations. But "therapy" also implies a relationship as there is more then one person involved. Trust is crucial in providing a safe and supportive space which allows us engage with difficult or conflicted aspects in our life and the notion of a confidential relationship forms the basis of any therapy. Trust is inspired by many factors and not just confidentiality and I believe that the quality of the relationship between therapist and client should be a central concern for choosing a therapist. Research shows that the quality of the therapeutic relationship contributes significantly to outcomes. The field of Body Psychotherapy emerged originally from the work of Wilhelm Reich and forms a distinct branch of psychotherapy and psychoanalysis. Contemporary Body Psychotherapy is concerned with the integration of physiological/somatic, emotional, mental, spiritual and social/relational aspects of the individual. It involves a extensive body of knowledge and explicit theories of mind-body functioning which take the complexity of interactions and reciprocal relationships between psyche and soma into account. Body Psychotherapy approaches share an underlying assumption that we are embodied beings and acknowledge a functional unity between psychological and bodily aspects of being. Instead of hierarchical relationships between mind and body, we see dynamic correlations between bodily manifestations and psychological processes we observe. Contemporary Body Psychotherapy draws on both humanistic and analytic conceptions and promotes embodied intersubjective engagement in the therapeutic relationship. In Body Psychotherapy, therapist and client may at times agree to work with touch, movement or breathing. All forms of psychotherapy utilise inter-personal dynamics and interactions as a vehicle for change. The therapeutic relationship and the therapeutic space created are crucial tools to help foster the kinds of self-awareness and behavior change people seek to develop. 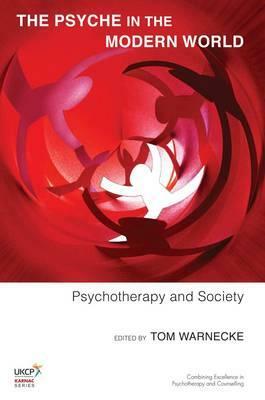 Relational psychotherapy developed as a cross-platform or meeting place between theoretical models in recent decades. It is not associated with any particular school of psychotherapy but a broad way of understanding human motivation and the therapeutic process. Relational psychotherapy challenged a central principle of traditional psychotherapy and psychoanalysis. For much of its history, psychotherapy has been understood as an inquiry by one person, the therapist, into the inner world and psychology of another person, the client. In contrast, a two-person psychology approach acknowledges that there are two people interacting mutually, if asymmetrically, in the therapeutic relationship. Both therapist and client contribute their unique subjectivities to the therapeutic space which is necessarily co-created. This shift from a one-person to a two-person psychology has moved the therapist's position from interpreting observations or administering treatment towards a more participative and co-creative style of facilitation. In relational body psychotherapypay, we pay attention to the subjectivities of both client and therapist. A therapeutic relationship inevitably involves the organisms of both participants. Relationships rely on bodily experiences of proximity and non verbal communication such as eye contact, facial expressions and emotional or affective content of voice, postures and gestures. Bodily phenomena add texture and depth to the therapy process and may provide clues about hidden conflicts or relational tensions.